What’s the worst that could happen? Well, if you Google ‘wedding disasters’, you’ll get 1.3 million results. And, we’ve all seen that video of the wedding party on a little pier that collapsed into the lake. Will it happen to you? Not likely! But, could you be caught out by the weather, bored kids, or lost wedding rings? Yes – but you don’t have to be, if you plan in advance. 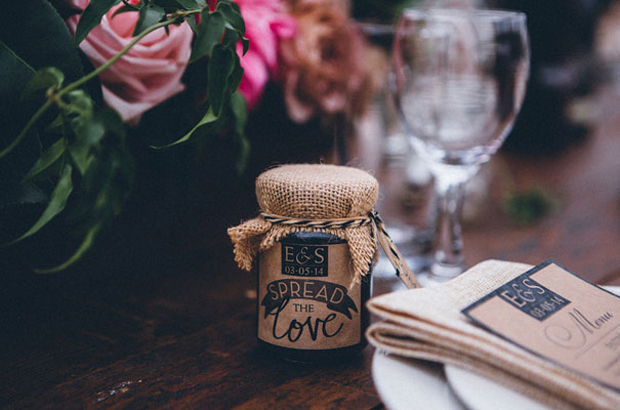 Here are 6 wedding disasters and how to zap them in advance. Nobody controls the weather – but if you know it in advance, you’ll win this one! A daily forecast check a week before the wedding is the first thing to do. 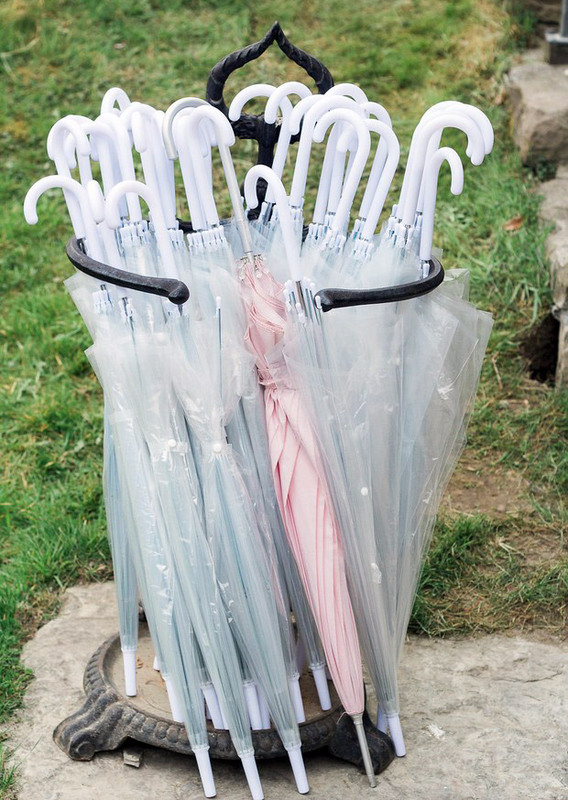 If rain clouds are coming, you now have several extra days to gather or buy brollies for you and the wedding party. If it’s raining on the day itself, tell your hair stylist and makeup artist about any open-air travel time between the ceremony and the reception – they’ll make sure everything will stay put as it should. If things go to a muddy level, prepare an alternative pair of shoes for your walking outside, because your dainty white wedding ones will definitely show the strain. Think anything from funky wellies (great for photos!) or your trusty Doc Martens (mud doesn’t stand a chance) – then put your white shoes back on when you’re indoors, safe and dry. Believe it or not, we’ve written a whole article about wedding dress stain removal – because things happen, not just on the day, but before the day too, so have a read just in case! If the forecast is poor, discuss keeping outdoor photos close to the venue, rather than walking long distances through soggy grass. Stains can be removed or at least minimised, the most important thing is not to let it spoil your day. When you know in advance it’s unlikely for your dress to remain pristinely white until the end of the day, then you’re already winning this one. Some smart brides also say – don’t give guests confetti cones to hold in one hand, and drinks in the other, because someone is going to confuse the two. 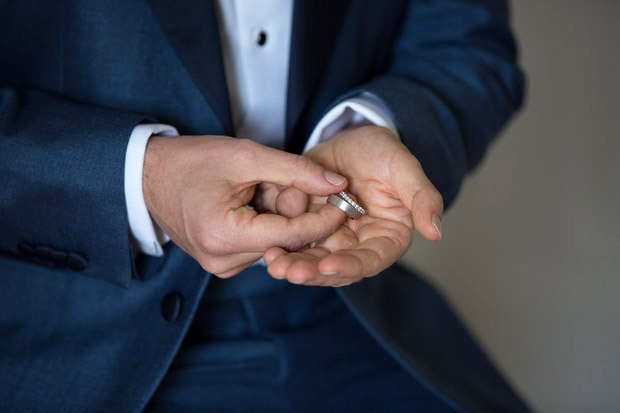 It’s usually the best man who hands over the rings at a key point in the ceremony. But, not every best man can be trusted with the safe-keeping, especially not if it’s a few days before the ceremony. Rings get forgotten at home, left in taxis, dropped… the answer is to give them to the best man at the last possible moment. Until then, you, one of the parents, or the groom should keep them safe. A word of wisdom for destination weddings – never pack them in a suitcase, and make sure they’re insured. Suitcases get lost or delayed, and the risk is higher if you have to change flights. Always carry the rings with you – this is one of the easiest wedding disasters to prevent. Suppliers are people too, and things happen to them – they fall ill, they’re unexpectedly delayed… it’s a fact of life. No supplier ever wants to compromise their reputation by letting a bride down, believe us. Before you book any supplier, ask what is their Plan B if they’re unable to make it on your day. Most have a trusted assistant ready to step in and save the day. If you’re signing any type of paperwork, be sure this point is included. Or if you’re not, get confirmation of this by email. Call all suppliers the week before the wedding, and confirm the dates and arrival times once again. 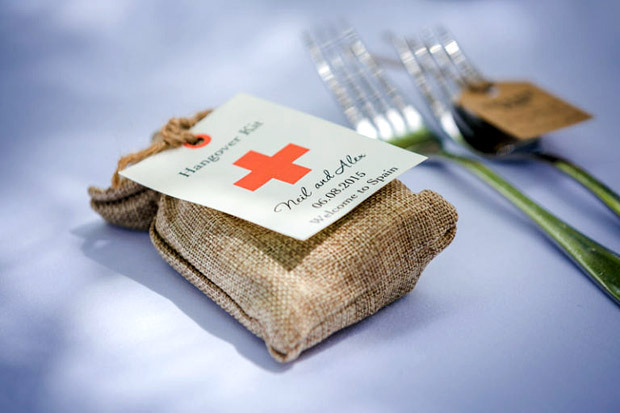 You could do this yourself, or delegate to mam, your other half’s mother, or a designated person in the wedding party. If any part of it is done by the venue, call the venue too. Don’t leave this until the day before the wedding – it may not be enough time to sort out an alternative. Make sure, for any supplier arriving on the day, you have their mobile number, in case they’re late. If you’re getting married on a Saturday or Sunday, their actual office will probably be closed, and you won’t be able to get through to anyone. This includes your photographer, limo company, hair/makeup, ice cream van, etc. Kiddos, as cute as they are (and they take the awww factor to the next level), can also be loud when happy or unhappy. They key is to think ahead to the key moments of the day, when everything is quiet – that would be the ceremony, and the speeches. There are several things you can do. If your budget allows, hire a wedding babysitter – so many couples have told us it was the best money they ever spent. 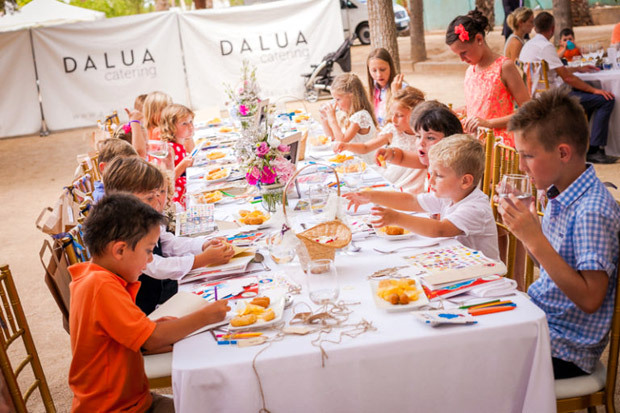 If your venue has multiple rooms, ask if the children could be taken elsewhere for fun and games, under the supervision of an adult, of course. Finally, you could also ask the parents if they prefer to sit close together, keeping the kids in a group – far easier to look after. And for the ways to entertain them, here’s our handy checklist full of awesome suggestions! Your out-of-towners will most likely book rooms to stay, but local people will probably want to travel home afterwards. Are you getting married at a venue with accommodation? Ask if they’ll have a few rooms available just in case. Booking transport for people is also a good idea. We’re talking a mini-bus, or even a big bus, who’ll drop people off locally once the party is over. If you’re getting married in a rural location, research any taxi companies in advance, get approximate quotes for a journey to your venue, and make sure they’re working on that day – you may need to call a few taxis. Have the numbers handy on the day (pop them on a chalk board near the entrance for instance) so guests can use them when needed! And finally, of course, the mother of all wedding disasters is your whole wedding getting cancelled due to no fault of your own. Just this summer, a soon-to-be-wed couple in the UK made headlines when a hotel cancelled their reception only 72 hours before the big day – and 200 guests were invited. Of course, this is an extreme situation… but it could happen to anyone. The couple’s day was saved, when 15 of the staff members came in to work for free. This is why there’s wedding insurance – it’s a small spend that will save you a lot of heartache when wedding disasters strike. If you think the bride should always have the last word, then Rachel is on your side! A devoted fan of everything quirky, unusual, colourful or crafty, she loves scouting WOL's real weddings for unique and fun touches. When not gazing at pictures, she's dispensing no-nonsense advice on everything from reception entrance songs to bridesmaid problems.